I can’t rave enough about Dr. Irvin Yalom’s recently released memoir. 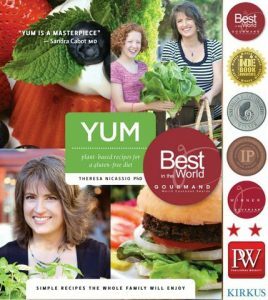 BECOMING MYSELF is a book that at its core acknowledges the universal challenges of living, while simultaneously softening the edges of life through soulful tenderness and transformative insights. From the first line in this tell-all book, the reader is immediately invited into the personal inner and vulnerable world of the most influential psychotherapist of our time. Yalom’s masterful ability to bridge the real with the surreal, shifting from present time observations to dreamlike musings of days gone by, creates a deliciously paradoxical sense of timelessness that is overlain with the poignant awareness of the impermanence of our existence. 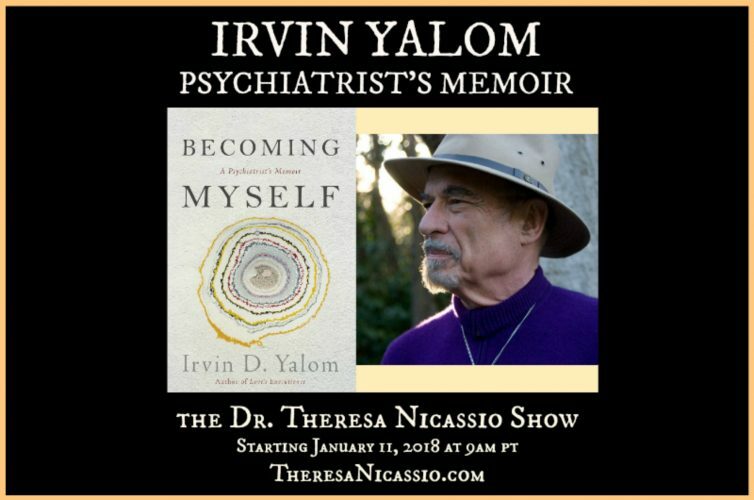 Irvin Yalom began his life in a roach- and rat-infested home where the raw realities of living in an anti-Semitic and dangerous neighborhood required that he become a courageous young renegade, coming by self-reliance and free-thinking honestly. 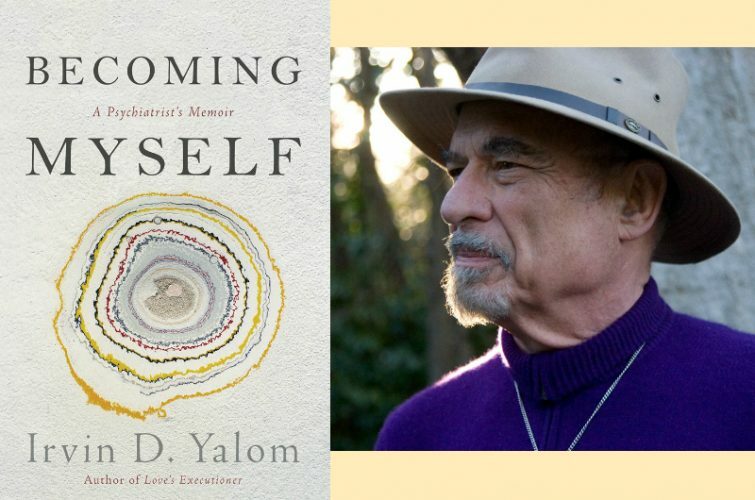 While Yalom’s musings through the pages of this exquisite memoir frequently hone in on his longing for mentorship and compassionate connection since his childhood, it was the fire of sheer will and possibility thinking that ultimately carried him through the toughest times in his life. What moved me most deeply in this unlikely page-turner were the whispers of profound gratitude, love, and empathy that run through the very marrow of the pages of this book. What moved me most deeply in this unlikely page-turner were the whispers of profound gratitude, love, and empathy that run through the very marrow of the pages of this book. Demonstrating his commitment to living a regret-free life, the author humbly shares his reflections of the few remaining regrets that arise through his introspective process, open-heartedly making amends in such a way that allows his readers to witness his most inner angst and subsequent freedom through this process. Irvin’s authenticity and compassionate personhood permeates the very fabric of this book, illustrating why his therapeutic relationships have served as such a safe and healing landing place for so many of the patients and students he has served in his career. Irv’s perennial love of literature and philosophy enriched his understanding and appreciation of the experience of living. Combining his professional and personal knowledge and observations as a psychotherapist with his insatiable love of the possibilities inherent in the imaginings of fiction, Irvin creatively blurred the non-fiction worlds of psychology and philosophy with the worlds of fantasy and fiction, creating an entirely new literary genre in his later works, including this memoir. In this soon-to-be classic masterpiece, Yalom’s innovative interweaving of imaginal therapy sessions and surreal dreams bring a prismed dimension to his autobiographical recollections, adding an unexpected twist of uncertainty to the mosaic of his retrospective process. By Irv’s unabashed acknowledgement of the uncertainty of his own perceptions and memories, as a reader I found myself tumbling into a land reminiscent of Alice’s land of wonderment, ultimately pondering with curiosity and delight about where the edges of reality and fantasy in fact actually begin and end. BECOMING MYSELF is literally one of the most beautiful books I’ve ever read. As I moved through the pages, I found myself laughing, crying, curious, inspired, and enchanted, as though I was personally enjoying Irv’s life stories spanning his 85 adventurous years, right by his side. 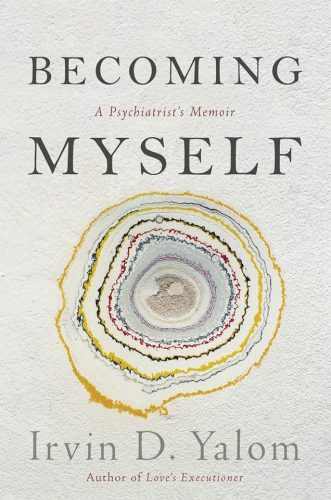 By openly sharing about his own personal struggles with his family, about his love of adventure, his struggles around stepping into his manhood, his internal turmoil around and his deeply felt appreciation for the love of his life, Marilyn, Yalom offers his readers the mentorship he always longed for and eventually found. In so doing, he invites us as readers to reflect upon our own lives in ways we may never have considered about coming to terms with the universal and ever-present paradox of living betwixt and between birth and death. Irvin Yalom’s memoir is a book that I will not only continue to cherish and return to for inspiration and wisdom, but is also one that will be at the top of my list as a gift for those I care deeply about. The book is especially valuable for those who are amidst their own ponderings about life and meaning, isolation and freedom, who may find comfort in Yalom’s down-to-earth humanity, compassion, and insight. Becoming Myself: A Psychiatrist’s Memoir by Irvin D. Yalom is now available at bookstores everywhere. BECOMING MYSELF is a book that at its core acknowledges the universal challenges of living, while simultaneously softening the edges of life through soulful tenderness and transformative insights.